In an interruption to our usual programming, Dr Moss and I are very pleased to introduce my new workshop apprentice. Grace Bronte Binnie, born at 10:29am on 13 August 2015 weighing 7lbs 14oz. 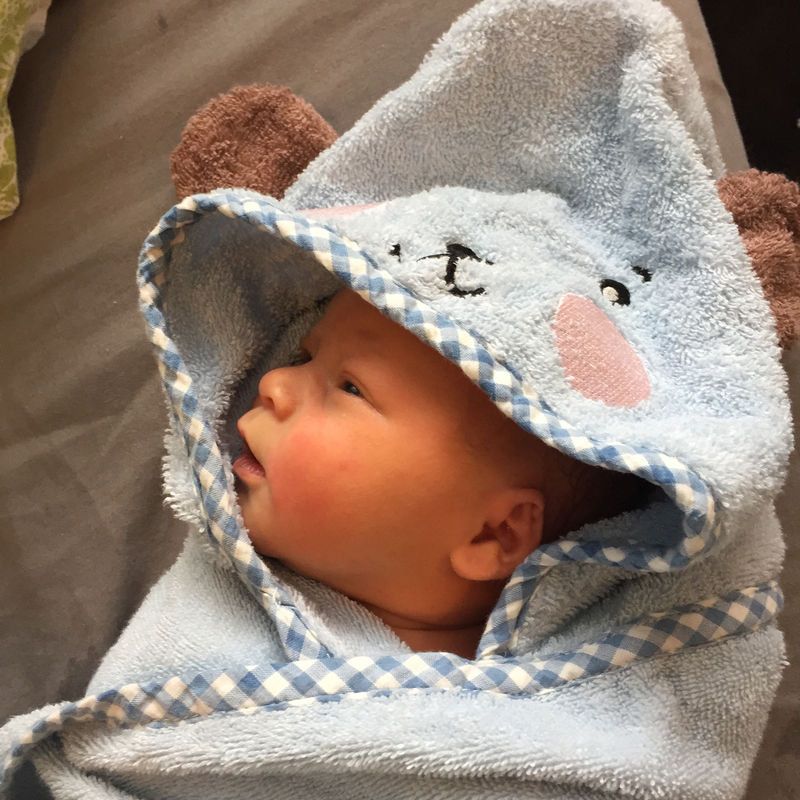 Despite arriving 11 days early, both mother and baby are doing well, and I am totally besotted. Grace has already received many lovely gifts, and the picture above shows her with a rare hammer made by C Hammond of Philadelphia, sent by a very generous friend so that Grace could shatter glass ceilings and enjoy workshop time with her Dad. This entry was posted in Uncategorized and tagged apprentice by overthewireless. Bookmark the permalink. CONGRATULATIONS!! She’s gorgeous. Enjoy this very special time! What a splendid head of hair! 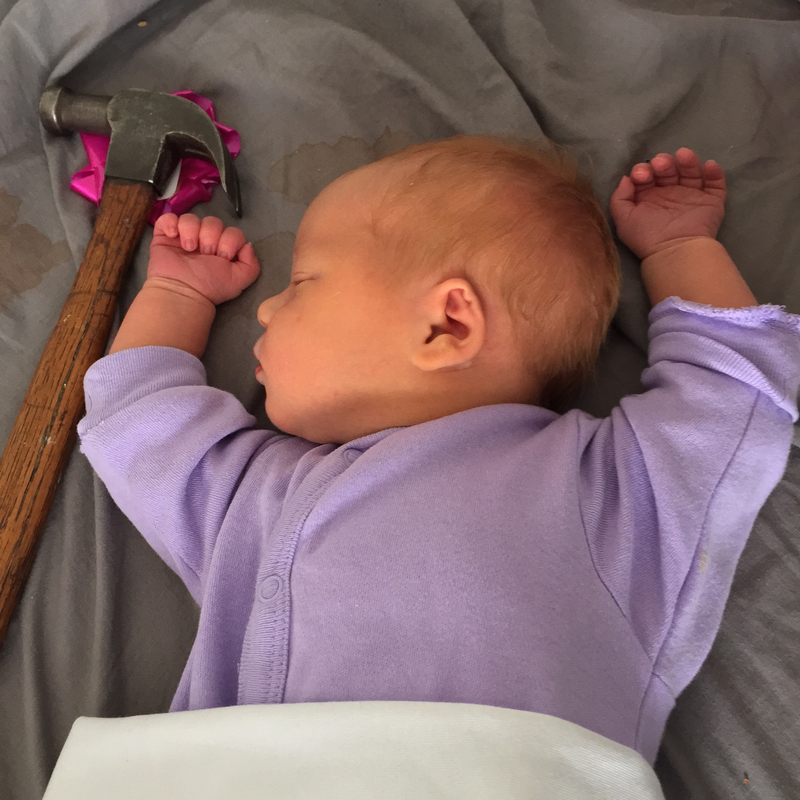 Congratulations guys, she’s absolutely beautiful (and has excellent taste in hammers).